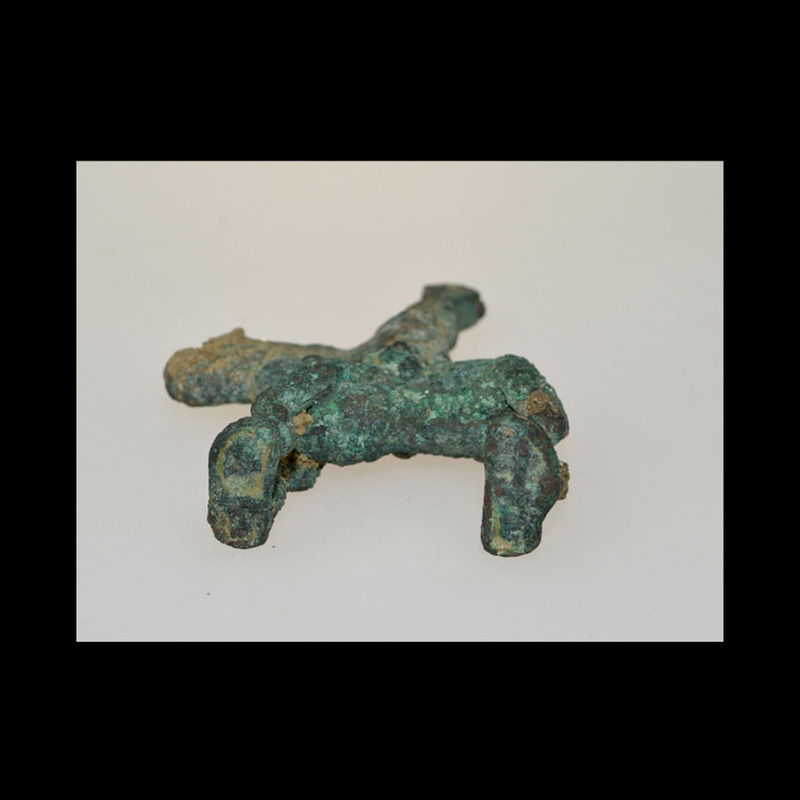 ﻿ Animal forms : Greek Bactrian bronze pendant amulet in the form of a horse and rider. 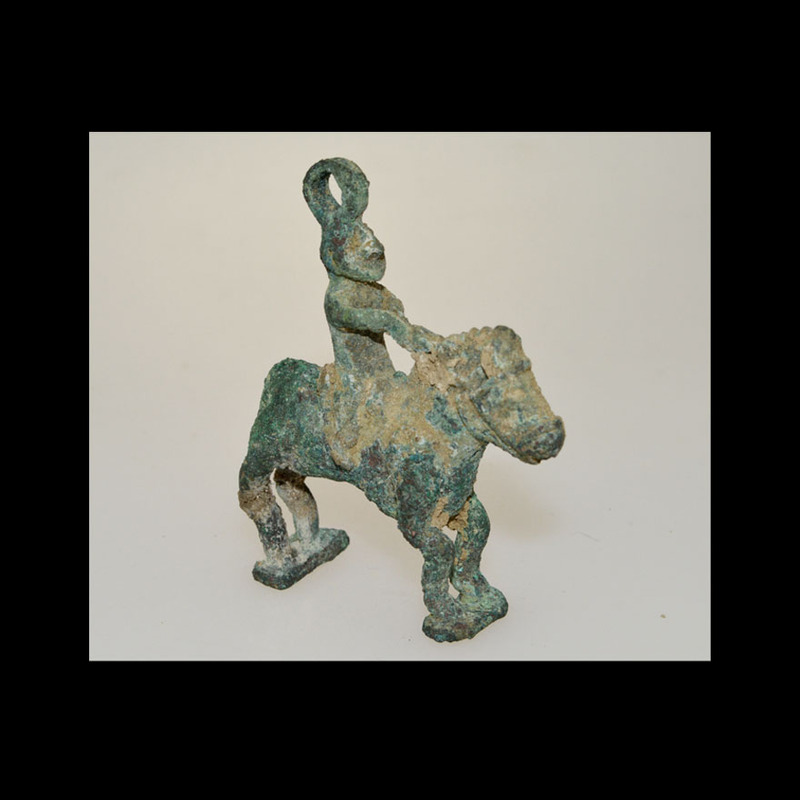 Greek Bactrian bronze pendant amulet in the form of a horse and rider. 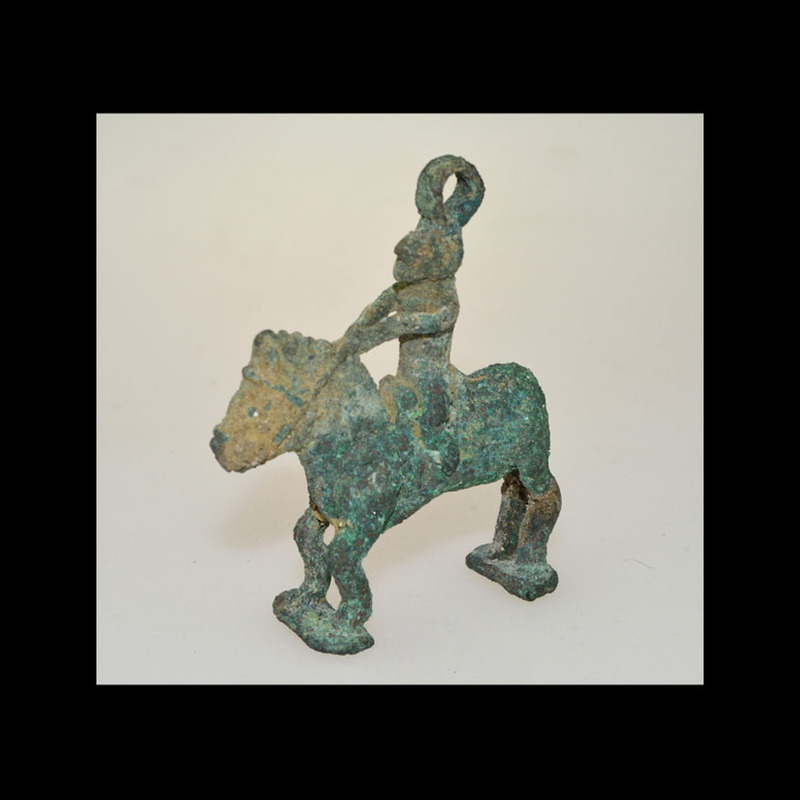 A Greek Bactrian bronze pendant amulet in the form of a horse and rider, the figure fully three-dimensional and free-standing, with the original suspension loop intact; extensive, encrusted verdigris patina; the details of both the rider's head and horse's head, including the bridle, are clear.